Blickfeld has developed and demonstrated a unique light detection and ranging (LiDAR) technology that is solely based on commercial off-the-shelf and silicon components. It can be manufactured in low-cost mass fabrication and meets high automotive performance requirements. 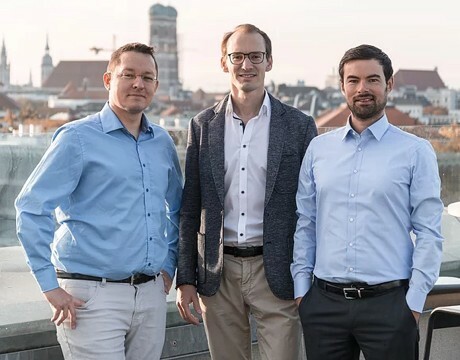 Now, we are thrilled to announce a $4.25 million seed financing round led by Fluxunit – OSRAM Ventures, High-Tech Gründerfonds, Tengelmann Ventures and Unternehmertum Venture Capital Partners. “We are thrilled to have concluded our seed financing round with such experienced partners. We are very much looking forward to the joint journey. The funds will be used to speed up our development and to enter first trials with automotive OEMs. We are planning to provide first systems to our OEM partners in early 2018. Our team will be expanded: We are especially looking for talent to join our Munich-based team”, Florian Petit, founder of Blickfeld, explains.